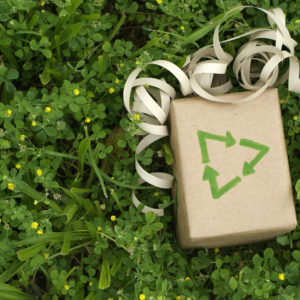 A lot goes into celebrating holidays – decorations, gift-wrapping, large meals – which can result in a lot of waste. 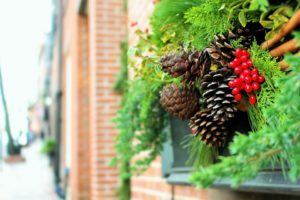 You don’t have to cut back on holiday festivities to minimize waste with these tips. Not only do they use less energy, but LED bulbs last longer than traditional halogen incandescent lights. Although they can cost more to purchase, you won’t have to replace them as often, and you may notice a smaller energy bill. To save even more energy, set up a timer that will shut off your lights for you. Use this seasonal food guide to research what’s in season in your area and purchase ingredients locally when possible. Although you may end up with some nontraditional dishes, you’ll end up helping small businesses and may even introduce a new holiday favorite. Better yet, since the ingredients don’t travel far to your table, you’ll help minimize greenhouse gasses too! This is one of the oldest tricks in the book for saving money and reusing resources. A lot of glossy wrapping papers aren’t recyclable, but that doesn’t mean you have to resort directly to old newspaper. Make the wrapping a part of the gift itself by using fabric scarves, cute bags, or even mason jars and tissue paper. Bows and ribbons add a personal touch and can be reused year after year. 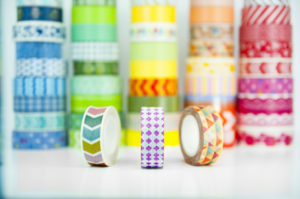 Washi Tape is made from natural fibers and is completely reusable and biodegradable. Not to mention, it comes in some of the cutest designs and patterns. While many people love holiday leftovers, Americans throw away nearly half of their groceries. Ask guests to RSVP so you can plan for how much food to make. If you’re making donuts or latkes, reuse the oil as much as possible. Consider freezing some leftover foods right away rather than throwing away extras when your family gets sick of leftover turkey sandwiches. Amazon offers frustration-free packaging. As the name suggests, there’s less packaging that you need to hassle with, and the little packaging is recyclable. If you need to keep the package’s contents a surprise, make sure to select “Ship in Amazon Box” when you checkout. Additionally, try to bundle your online orders to save on gas and packaging and have everything arrive at once. While the holidays are a huge time for consumption and indulgence, they are mostly about giving back and spending time with the people you love. 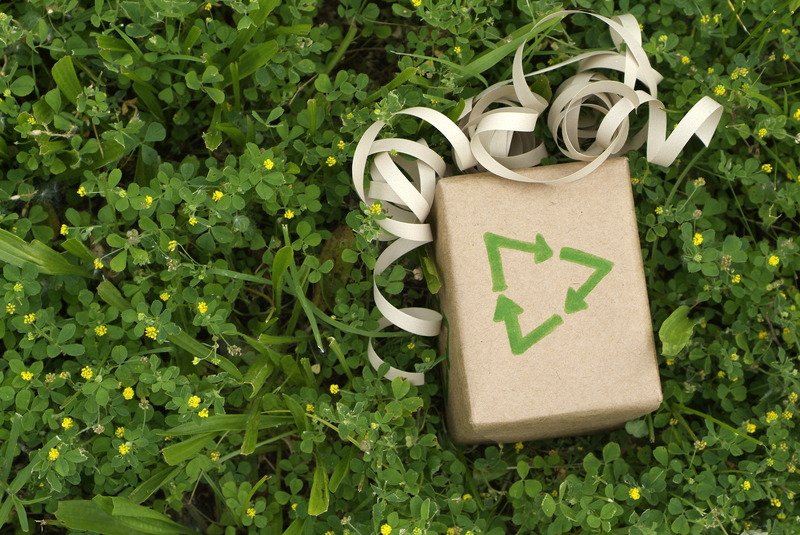 Do your part and participate in a sustainable holiday!